Amigo Energy gives you the power to improve the way your home uses energy. Browse the packages below and speak to a knowledgeable Amigo Energy specialist about personalizing an energy plan that's perfect for your Irving home. Find plans and pricing in your neighborhood. Price reflects average rate paid on usage of 2000kWh/month. There are about 233 sunny days every year in Irving. With so much sunshine, chances are your air conditioner is going to get some heavy use, which can get expensive. Amigo Energy knows all too well the hot, humid conditions of Irving because we are native to the Lone Star State. That makes us ideally qualified to provide the right energy solutions for your needs! With an average high of 96 in July, Irving residents often watch their energy bills soar during the summer. But what if you could guarantee that your electricity rate stayed the same, month after month? With Amigo Energy, this level of stability is possible. Choose Amigo Energy and you’ll be able to lock in your rate for up to five years with select plans. And it’s easy to stay in-the-know on how much energy you’re using, as you can sign up for weekly emails that break down your energy usage. Plus, you can get an estimate of what your upcoming bill will be, which makes it easy to control your electricity usage. Did you know that you can switch to Amigo Energy online? With Amigo Energy, you can also manage your account online and minimize your impact on the environment. You can choose free paperless e-billing and download our free mobile app, which makes it easy to get account notifications, make payments, and track your energy use wirelessly. Amigo Energy also gives Irving customers helpful tips about using energy efficiently year-round. Amigo Energy works hard to be an excellent energy provider, but a lot of effort also goes into improving the environment and conserving energy. As an Amigo Energy customer, you’ll get access to unique deals on energy-efficient light bulbs and other specialized home products, making it easier to do your part for the planet. And since weather can have a significant impact on your energy consumption, you’ll also get useful, seasonal tips about using energy efficiently in your home. You won’t rack up charges for energy used between 9 o’clock at night and 7 o’clock in the morning if you sign up for The Nights Free plan from Amigo Energy. If you refer a friend to Amigo Energy, you’ll both get a $25 credit. Contact one of our specialists today to learn more about this program. 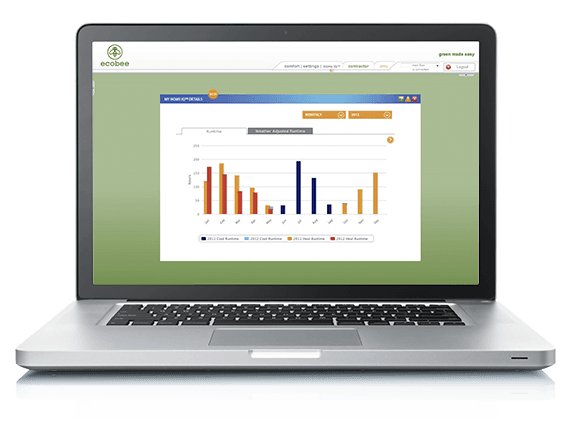 Get a comprehensive account overview, review your energy usage history, and get an estimate on your next bill with the MyAmigo online portal. Weekly emails make it easy to find out how much energy you’re using. With this information, you can better manage your budget while keeping your Irving household comfortable. Irving consumers have a number of energy providers to choose from, but Amigo Energy gives you better control over your budget and your electricity consumption with customized energy plans. Call now to find out more! Texas has a proud history, and as natives of the Lone Star State, Amigo shares that. Amigo is a member of the Just Energy Group, a publicly traded company that serves over 1.8 million residential and commercial customers throughout Texas and North America. And as a company founded in 2003, Amigo Energy is one of the state’s most experienced energy providers. In 2012, Amigo Energy was ranked in the top 10 by Texas Electricity Ratings, a consumer site that rates retail electricity providers. The rating system synthesized data from customer reviews, rates, and customer experience. The Green Energy Program is the latest offering in Amigo Energy’s ongoing effort to provide as many eco-friendly options as possible. The Green Energy Program allows Amigo Energy to purchase renewable energy credits and offset up to 100% of a customer’s energy usage. Irving residents concerned about their impact on the environment will be pleased to know that they now have a choice in what kind of energy they consume. Did you know that the average monthly energy bill in Texas is about $139.80? Approximately half of that monthly bill is attributed to heating and cooling costs. In the past, there was little Irving residents could do about their energy bills. But thanks to deregulation, most Texans now have the option to select their preferred electricity provider. With so many choices, it’s important to select an energy provider that is familiar with the unique landscape of the energy market in Texas. Amigo is proud to have served hundreds of thousands of Texans in the last 12 years, and we constantly strive to provide optimal energy solutions across the larger-than-life state. Amigo Energy knows that no two Irving homes are alike, which is why we work with each customer to customize an energy plan to meet their specific needs. Your Irving household will never be left without account support when you choose Amigo Energy. The Amigo Customer Service Department can assist you every step of the way, starting with the customization of your energy plan and home set-up and all throughout the account set-up process. The energy professionals at Amigo use their expertise to help you craft the right energy plan for your budget and your unique Texas household. Customer service is available Monday through Saturday to help you manage your account, assist you with transferring or adding services, or even to just answer your questions. You can also get the answers you need quickly when you check out the FAQ section of our website. What if you need after-hours access to your account? With the MyAmigo online portal, you get 24-hour access. With the portal, you can review your Irving home’s power usage, change your account settings, view your next month’s energy bill estimate, and pay bills online. Plus, you can click over to the Customer Support section to find other account functions like selecting a preferred payment option and monthly statement breakdowns. To top it all off, you can take care of your account anywhere you have a data connection when you download the free Amigo Energy mobile app! Find Amigo Energy rates in your area. 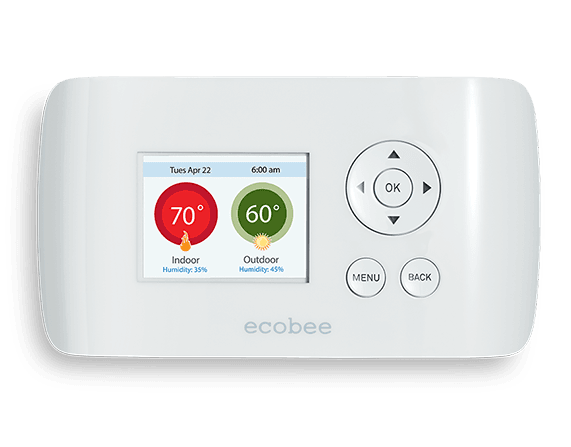 Automate the heating and cooling in your Irving home with an ecobee smart thermostat. This smart thermostat is powered by Home IQTM and makes it easier to keep your home comfortable, while also reducing your impact on the environment. When you sign up for Amigo’s Smart Rate Plan, you can get the advanced ecobee smart thermostat for free. On top of that, you’ll also get free installation in your Irving home! By analyzing the size of your home, the number of occupants, the type of HVAC system you have, and current weather patterns, the ecobee smart thermostat gives you personalized insights into your home’s cooling and heating behaviors, so you can make money saving adjustments. Log on to the smart thermostat Online Portal and gain valuable insight into the function of your home’s heating and cooling systems from the personalized web portal. In an average home, heating and cooling make up at least half of the overall energy use. Help out the environment and your wallet by learning more about how your Irving home uses heating and cooling with the ecobee smart thermostat system. Log on to the smart thermostat Online Portal and gain valuable insight into the function of your home’s heating and cooling systems from the personalized web portal. More than 50% of the average home’s energy use comes from heating and cooling functions. Find out how your Irving home consumes energy and make adjustments that benefit the planet and your monthly bill with the ecobee smart thermostat.